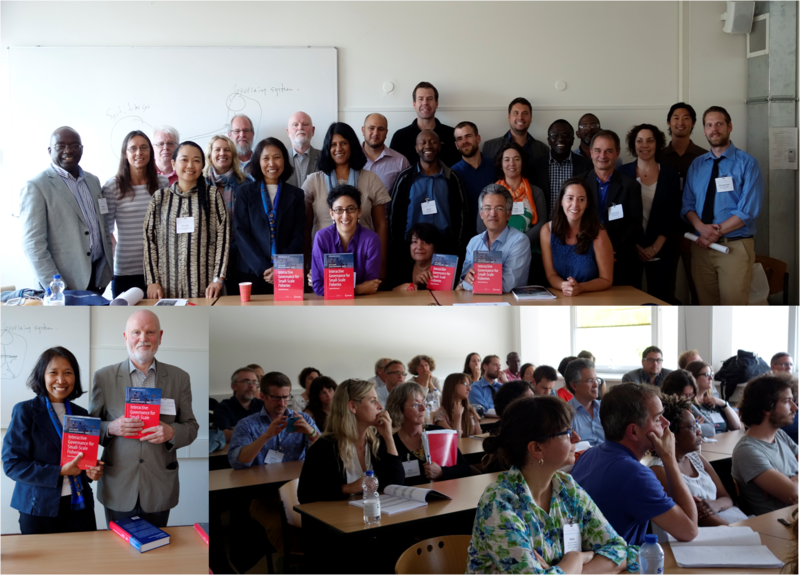 One of the Too Big To Ignore project's major deliverable, the Interactive Governance for Small-Scale Fisheries: Global Reflections book, was officially launched on June 25th, at the MARE “People and the Sea VIII” conference Amsterdam, the Netherlands. The book, developed as part the TBTI Working Group 6, draws on more than 30 case studies from around the world and offers a multitude of examples for improving the governance of small-scale fisheries. The book launch attracted a great interest from the conference audience. We are especially pleased by the fact that 30 book contributors were able to join us in celebrating this achievement. As stressed by the editors and contributors, the book is a collaborative effort that sends a strong message about the strength of the small-scale fisheries community. Given that the volume corresponds well with the Voluntary Guidelines for Securing Sustainable Small-Scale Fisheries adopted in 2014, contributors hope the book will be used to facilitate implementation of the Guidelines. Interactive Governance for Small-Scale Fisheries: Global Reflections draws on more than 30 case studies from around the world and offers a multitude of examples for improving the governance of small-scale fisheries. Contributors from some 36 countries argue that reform, transformation and innovation are vital to achieving sustainable small-scale fisheries - especially for mitigating the threats and vulnerabilities of global change. For this to happen, governing systems must be context-specific and the governability of small-scale fisheries properly assessed. The volume corresponds well with the Voluntary Guidelines for Securing Sustainable Small-Scale Fisheries adopted in 2014, spearheaded by the United Nations Food and Ag riculture Organization (FAO). These affirm the importance of small-scale fisheries for food security, nutrition, livelihoods, rural development and poverty reduction. Be sure to check the book flyer for more information about the book. Click here to order the book or see a free preview. 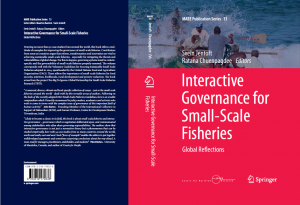 “Likely to become a classic in its field, this book is about small-scale fisheries and interactive governance – governance which is negotiated, deliberated upon, and communicated among stakeholders who often share governing responsibilities. The authors show that interactive governance is not just a normative theory but a phenomenon that can be studied empirically, here with 34 case studies from as many countries around the world, north and south, east and west. Such “force of example” enables the editors to put together well developed arguments and sometimes surprising conclusions about the way ahead. A must-read for managers, practitioners, stakeholders, and students!” (Fikret Berkes - University of Manitoba, Canada, and author of Coasts for People).